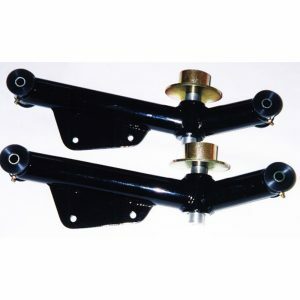 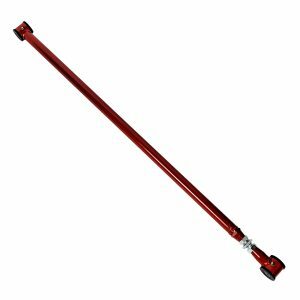 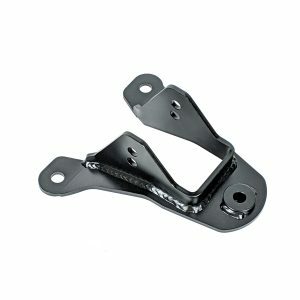 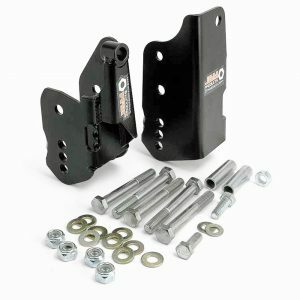 Replace those weak, factory stamped lower control arms with J&M Products extreme duty tubular adjustable arms. 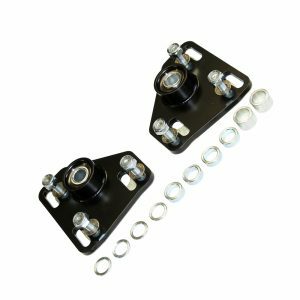 These are a direct bolt-on replacement that minimize wheel hop, improve cornering, lowers ET’s and greatly helps your track consistency. 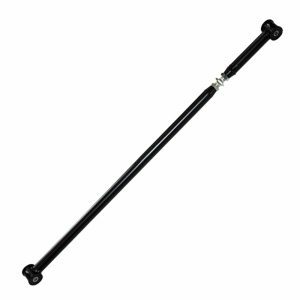 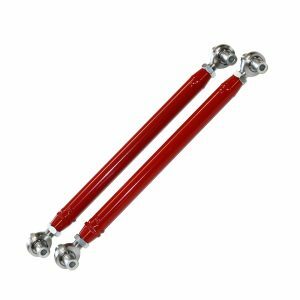 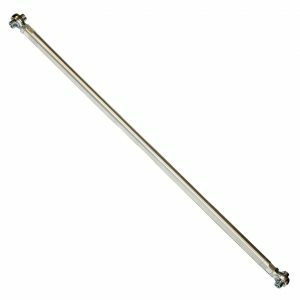 The chrome-moly heat treated spherical rod end allows your rear suspension to be bind free which makes these a great upgrade for both your track and auto cross driven car. 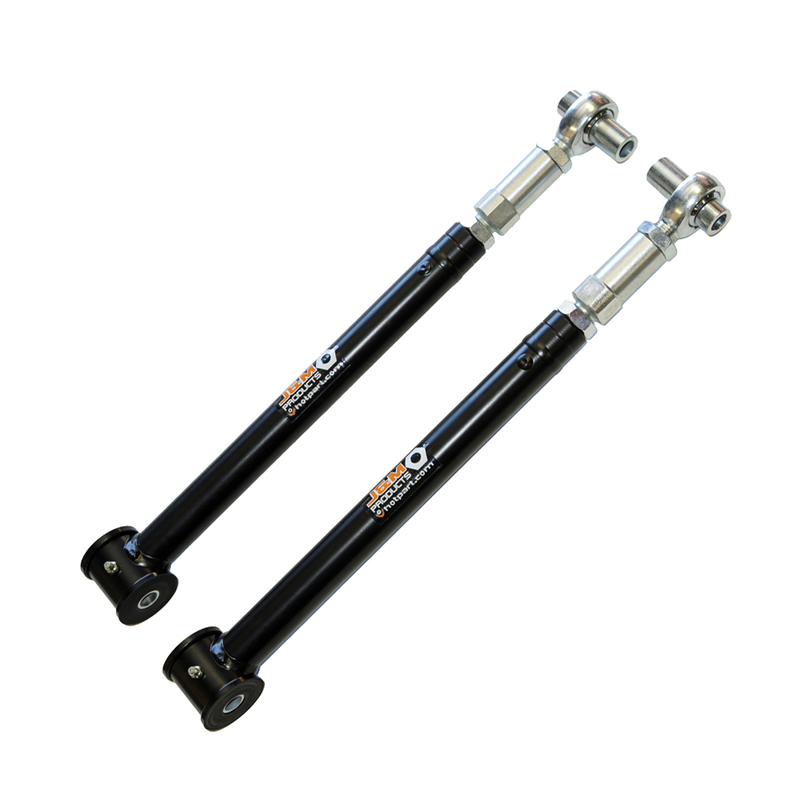 We designed these to have the synthetic elastomer bushings bolted to the cars chassis for a quiet comfortable ride. 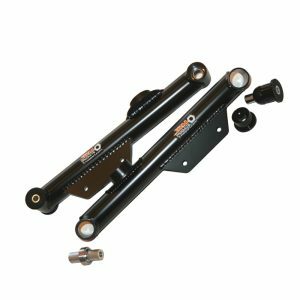 J&M Products control arms are constructed form U.S. made DOM mild steel tubing 1.250” OD x .120” wall, high strength steel threaded tube adapters, completely CNC machined and fully pulse welded for outstanding strength. 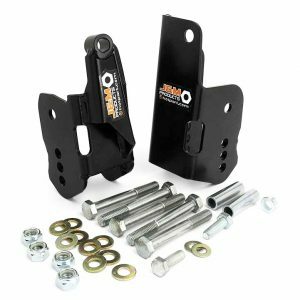 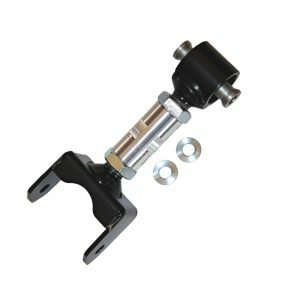 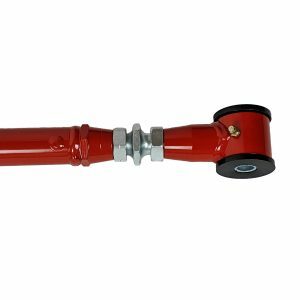 J&M control arms feature synthetic elastomer bushings, zinc plated steel sleeves and “on-car” greasable grease fittings. 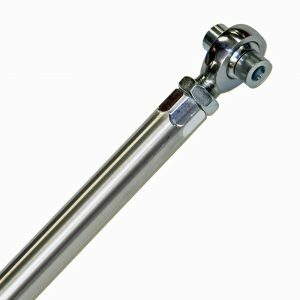 Adjustments are easily made with the high quality Chrome-Moly PTFE lined spherical rod ends for a quiet bind free performance. 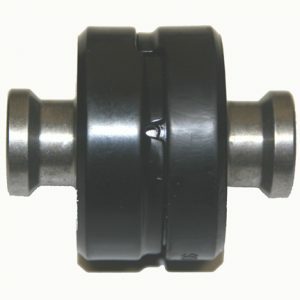 Rod end liner is not the standard PTFE rod end liner but instead we have rod ends made just for us using a stronger sintered bronze liner impregnated with PTFE powder, the same as modern ball joints. 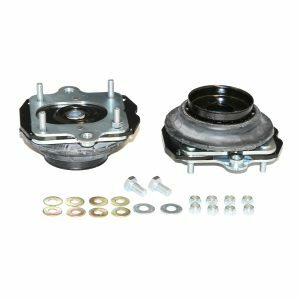 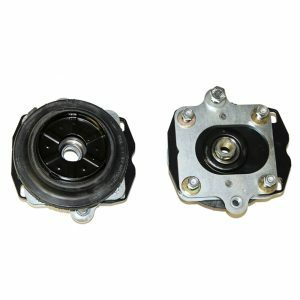 Fits: 2005 2006 2007 2008 2009 2010 2011 2012 2013 2014 Mustang All.